Weighting Comforts Weighted Blanket Review – How Good Is It Really? 1 Weighting Comforts Weighted Blanket Review – How Good Is It Really? 1.1 Weighting Comforts Weighted Blanket Review – Is It Worth Buying? 1.5 Review Verdict And Final Words – Is It Really Worth It? 1.5.1 Where to Buy The Weighting Comforts? Weighting Comforts it’s one of the best companies producing weighted blankets on the market today. Established by an expert in family therapy, the founder of the company quickly noticed how her clients loved the products they got to try during therapy and clinical trials. Quickly after, the Weighting Comforts brand was born. When I first came across the term weighted blanket, I was curious to read what’s it all about but quite reluctant to try one. I was hesitant because I don’t really like being grounded or feel constricted while I’m sleeping. Despite the fact that I had sleep issues over the past few years, I never wanted the idea of being “hugged tightly” while sleeping. But then, I just couldn’t cope with my insomnia anymore and I decided to go on a quest to find what’s the best product to buy and you can see all the results here. I tried the Weighting Comforts for about a week and I was pleasantly surprised, to say the least. Well, the experience was much better than expected and I slept better at night. Though the comforter has issues of its own, please stay with me to see all the pros and cons, is it really worth and finally, is really the best product for the money! Weighting Comforts Weighted Blanket Review – Is It Worth Buying? 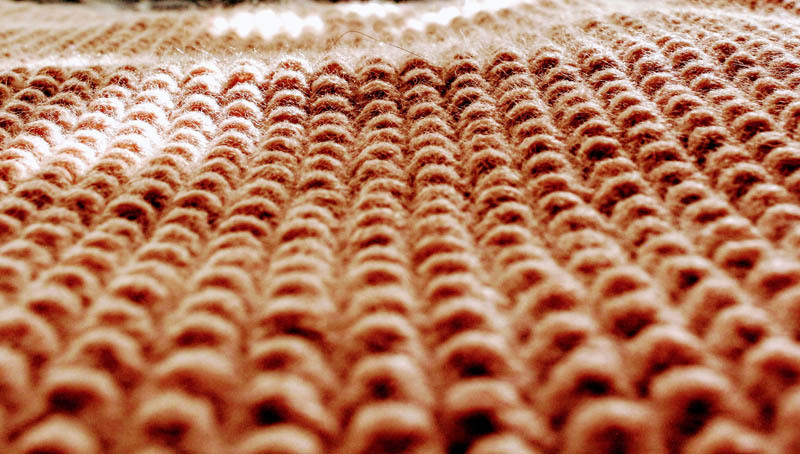 There is a good reason for the popularity of weighted blankets in recent days. They have been scientifically proven to relieve stress, anxiety, and insomnia. Apart from these, many studies have shown how effective they are in helping people with various conditions sleep and feel better. These include phobias, panic attacks, attention deficit hyperactivity disorder (ADHD), autism spectrum disorder, obsessive-compulsive disorder, and other mental health issues. Lack of sleep may lead to various consequences such as daytime sleepiness, inability to focus, and problems with work and school performance. Usually, people who suffer from mental illnesses and sensory problems are the ones who can’t sleep well at night. Good thing, weighted blankets work wonders in letting people sleep faster and better at night, all thanks to deep touch pressure (DTP). DTP is the science behind the efficacy of heavy touch in easing sleep problems. Deep touch pressure increases the production of serotonin, a feel-good hormone and chemical messenger that relaxes the body. Many of the mentioned diseases and problems are linked to low levels of serotonin. Aside from that, I learned that deep touch pressure mimics a hug, which can increase the levels of oxytocin and melatonin, which play a pivotal role in relaxation. Oxytocin helps relax the body while melatonin is the hormone responsible in the control of the circadian rhythm, the body’s internal clock. 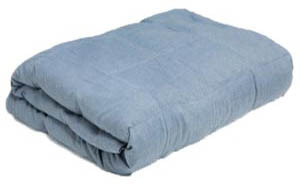 The Weighting Comforts Blanket has many variants – CoolMax, Pewter, Charcoal, Blue Chambray, and Aqua Spray. The one I got is the CoolMax because I love cooling sleep covers as they make me feel more comfortable and prevent me from overheating and sweating at night. It is good for all seasons. During the hot summer season, it doesn’t trap heat, making you sleep more comfortably. It measures about 55” x 74”, with a cooling technology that removes moisture away from the body, making it cool and comfortable. The weight of the blanket is really depending on your weight. Just remember that most companies are recommending that the comforter you buy should be about 10 percent of your total body weight. The CoolMax model is quite expensive because of its added cooling and breathing technology at around $269, while ordinary variants are sold at $195 at the time of this review. 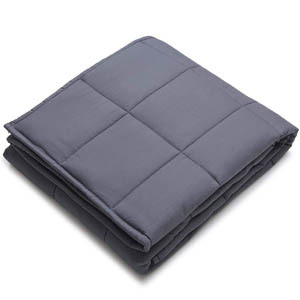 When it comes to the build quality of the weighted blanket, there are many fabric options – quilted cotton and flannel for those who prefer the warmth and the CoolMax for those who want to stay cool throughout the night. The moisture-wicking textile, CoolMax, was developed in 1986 by the Invista company. It is made of specially-engineered polyester fibers that enhance breathability. 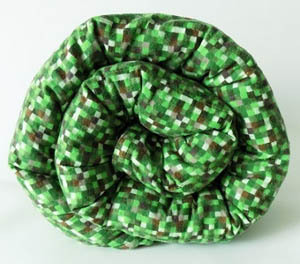 The feel of the blanket is impressive and it provides comfort and durability. Overall, I guess this has been the cover material today and nothing that you can really find in the DIY market. The material felt perfect to touch. The pellets inside, which provides the weight, is very soothing and relaxing. Each 5-inch bead pocket is sewn in 100 percent polyester thread for durability and added strength. When I purchased the CoolMax variant of the Weighting Comforts Weighted Blanket, I was really impressed by how comfortable it is. It’s not until it was time for bed that I realized how it relaxes my mind and body. For the first time in many months, I slept right away without any panic attacks. The surprising thing is, I never woke up during the night and I felt refreshed the next morning. I like how the blanket hugs me with its weight. I felt safe and secure all night long. The weight of the blanket helped me sleep deep and peaceful at night. So, is my money worth it as it costs quite higher than other weighted blankets in the market? Yes, I like the material, the quality, and it helped me with my sleep problems. Review Verdict And Final Words – Is It Really Worth It? As mentioned earlier, I loved the product! It is highly recommended for those who suffer from sleep problems and mental health issues. Well, I can also recommend these even to healthy individuals, to make the most of your sleep. It will dramatically improve your sleep quality and duration, leading to a more rejuvenated feeling the next morning. All I can say is that if you’re looking for a weighted blanket that feels comfortable and cool, this is the perfect product for you. The technology behind its cooling effect adds up to its efficacy as well. Just make sure you order the right size and weight for you and you will have the best sleep of your life. Where to Buy The Weighting Comforts? Click on the photo on the left to take you to the manufacturer’s website to avoid any fake or counterfeit products. It guarantees the authenticity and the genuinity of the product you’re buying. Yes, the Weighting Comforts is quite expensive but overall, the build quality and effectiveness will overweigh the cost. It’s a highly recommended product for me. The best place to buy the blanket is, as usual, the manufacturer’s website as mentioned above. Please let me know if you have any questions, concerns or anything in between? YNM Weighted Blanket Review – Is It Effective?